Viva La Farce! Let Us Eat Cake! 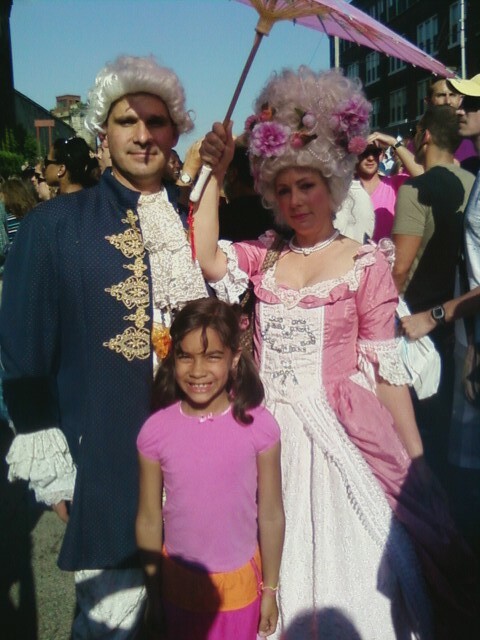 The Bastille was stormed again… this time it was on a Saturday… in Philadelphia. 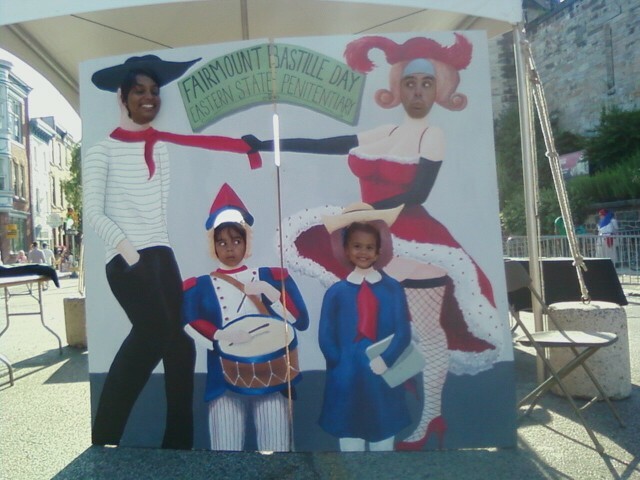 Each year the Eastern State Penitentiary and surrounding neighborhood celebrate Bastille Day with a fun-filled poke to France’s funny bone. The celebration which includes America’s version of French culture, a.k.a. 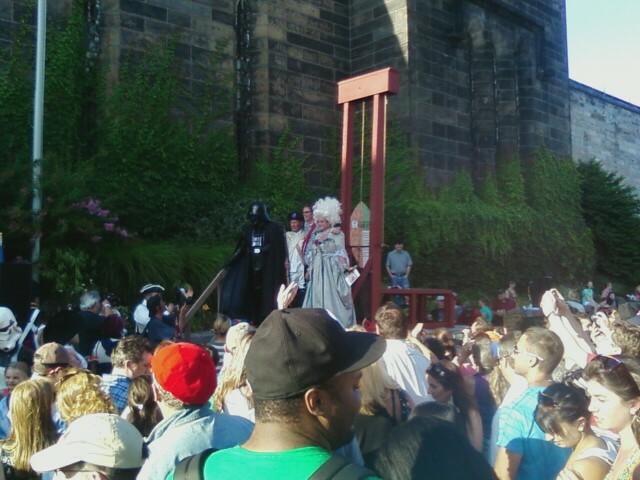 cross-dressing, culminates with Marie Antoinette atop the castle walls, surrounded by gendarme and storm troopers, showering the crowds below with Tasty Kakes. Last year she avoided execution by being traded to the Redskins, this year she was sentenced to be Schwarzenegger’s house maid. Looks like a good time! I love the costumes, it definitely gave me a laugh this morning! Thanks for sharing. Looks like lilhammas had a good time. That other story is one I’d like to hear. It will be along soon enough, but to give away the ending, which is never the point of such stories, thanks to the strategic kicking of an undersized Irishman; we won. This is fantastic!!! You gotta love Philly – if just for this event. And by the way – you really need a better camera with a zoom – I want more pics of this. lilhammas enjoyed that because she is a member of our bloodline, and as such, a deep and abiding love of Lewis Carroll runs in her veins. OFF WITH HER HEAD!!!! The guy in the vader outfit make a wrong turn? He must have been dying in that thing! All I wanna know is did you participate fully and wear a dress? What fun! We sadly missed our celebrations here in DC. Looks like Philly knows how to play the French game! Glad you guys got to go.